KANSAS CITY, MO and OAKLAND, CA, March 19, 2019 – Orange EV and Impact Transportation today announced the deployment of an Orange EV T-Series pure electric terminal truck to Impact’s 250,000 square foot warehouse and special project site supporting Port of Oakland operations. “Impact Transportation is a dedicated champion of clean transportation. Their efforts and leadership are helping pave the way to zero emissions at the Port of Oakland,” commented Mike Saxton, Chief Commercial Officer for Orange EV. According to onboard telematics data, Impact can operate their Orange EV truck for about eleven (11) hours on a single charge if needed, although the site is routinely opportunity charging, plugging in to charge during breaks, shift changes, and other downtime. Battery endurance varies as with a tank of diesel, where energy consumption can be higher or lower based on how hard the truck is working. Orange EV offers a range of equipment configurations to meet site-specific needs including larger battery pack (e.g., 160 kWh) and fast charging. With a 160 kWh battery pack, Impact could operate about 22 hours on a single charge. 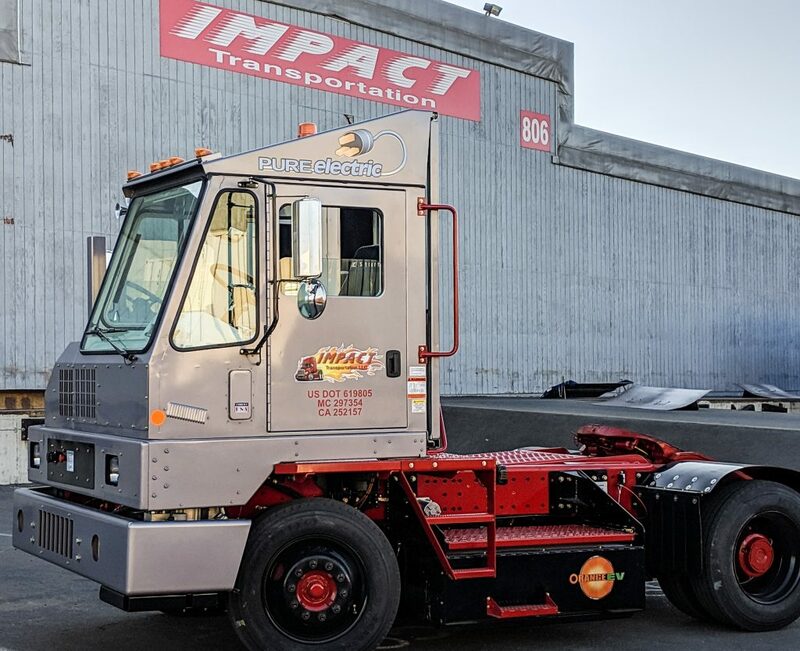 Impact Transportation utilized funding from the Hybrid and Zero-Emission Truck and Bus Voucher Incentive Project (HVIP) to purchase their Orange EV truck. HVIP is currently open, enabling discounts of up to $165,000 per Orange EV terminal truck. Fleets using Orange EV trucks can now also monetize site-generated carbon credits worth thousands of dollars per truck annually. Contact Orange EV to learn more.